and will deliver the Employability Skills Training as part of the Youth Jobs PaTH program. person is the right fit for your business. an average of 20 hours per week in an ongoing position. are ready for you to hire in your business. young people for work and help them understand the expectations of employers. employment services for six months or more. young person to have undertaken an internship. an average of at least 20 hours per week over the six-month wage subsidy agreement. 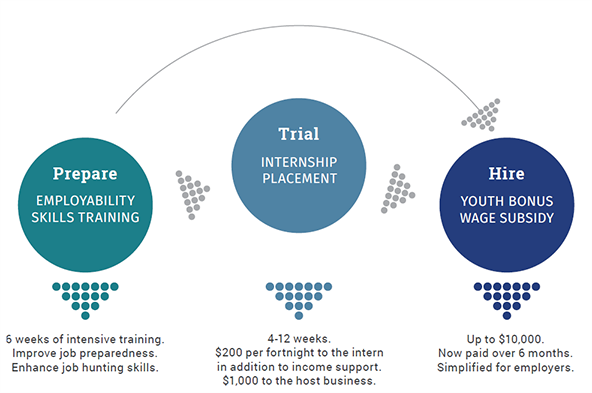 available to employers under the Australian Apprenticeships Incentives Program.